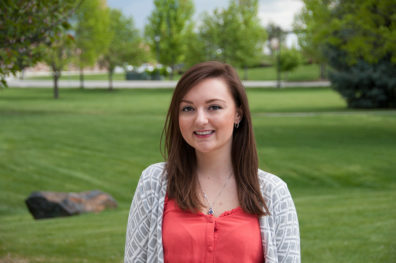 Swanson – who will graduate from WSU Spokane’s Nutrition and Exercise Physiology (NEP) program today – was involved at both the student government and program levels. She was the PR and Marketing Coordinator for the Student Entertainment Board (SEB) and President of the NEP Club. Swanson plans to return and enroll in WSU’s Coordinated Program in Dietetics. She indicated she has an interest in diabetes education and possibly working with children. Swanson has extensive volunteer and community service experience. She was a volunteer at Camp STIX, a summer camp for diabetics, as well as the NEP health fair coordinator. She has volunteered with Blessings Under the Bridge, the Boys and Girls Club and the Washington State Trail Association.